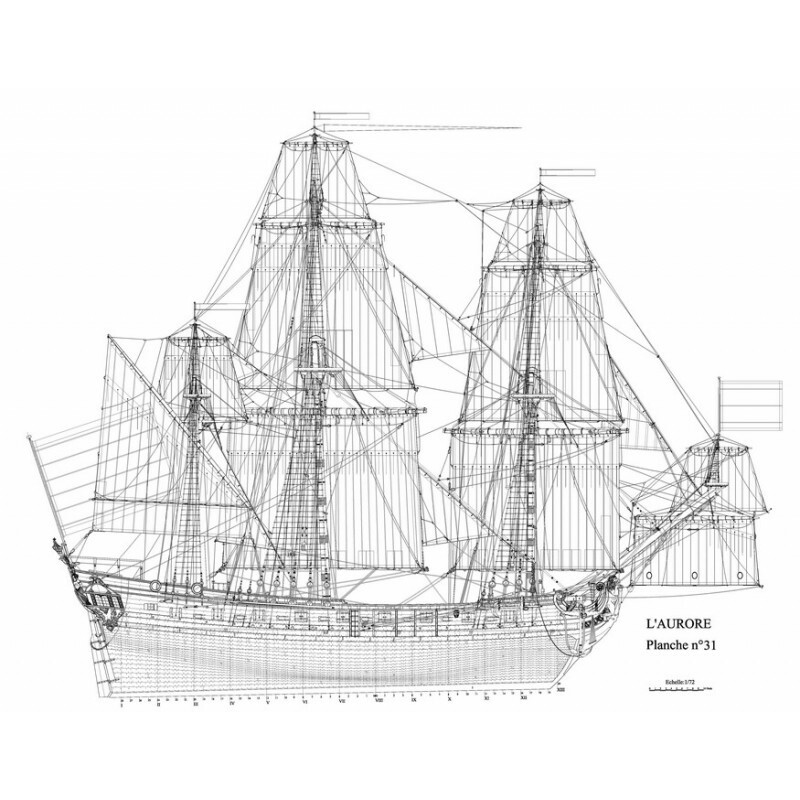 The results of this study are translated into 31 plates at the 1/48 scale that describe the Aurore graphically in all her aspects, from her schematic lines to the complete rigging, including the framing and inside accomodations. 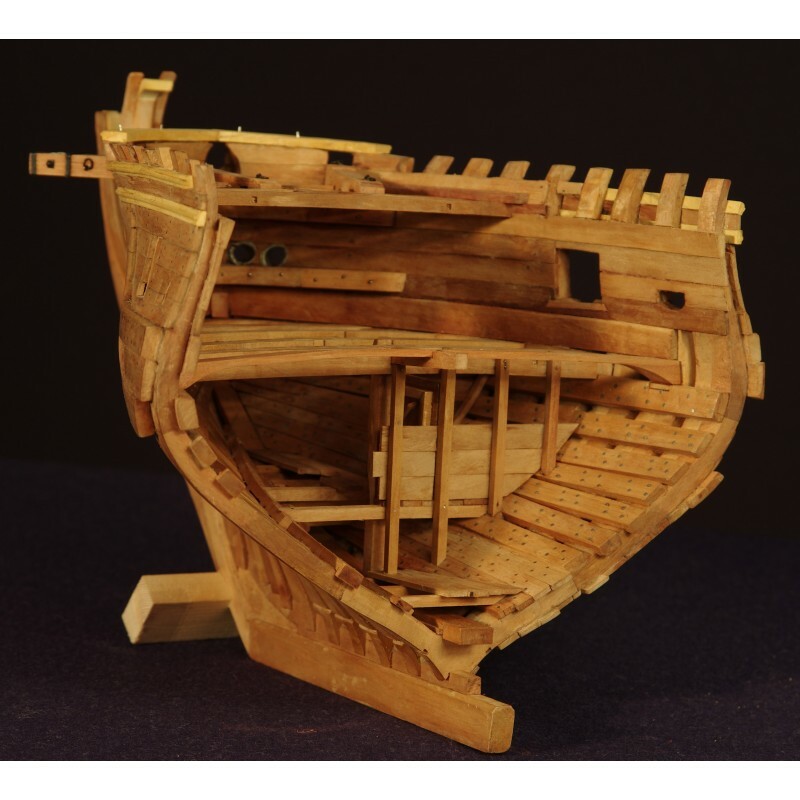 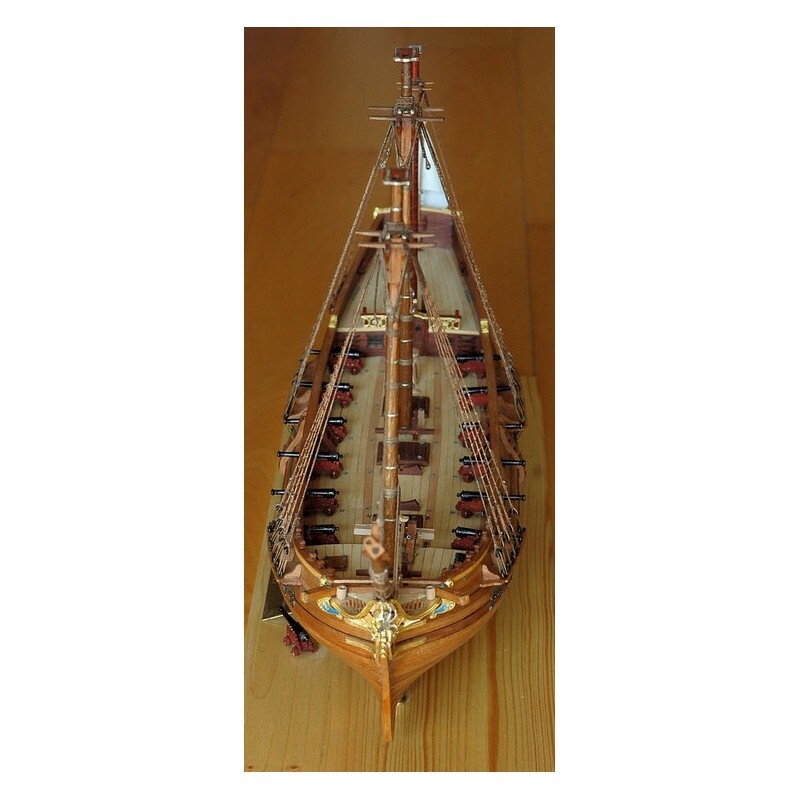 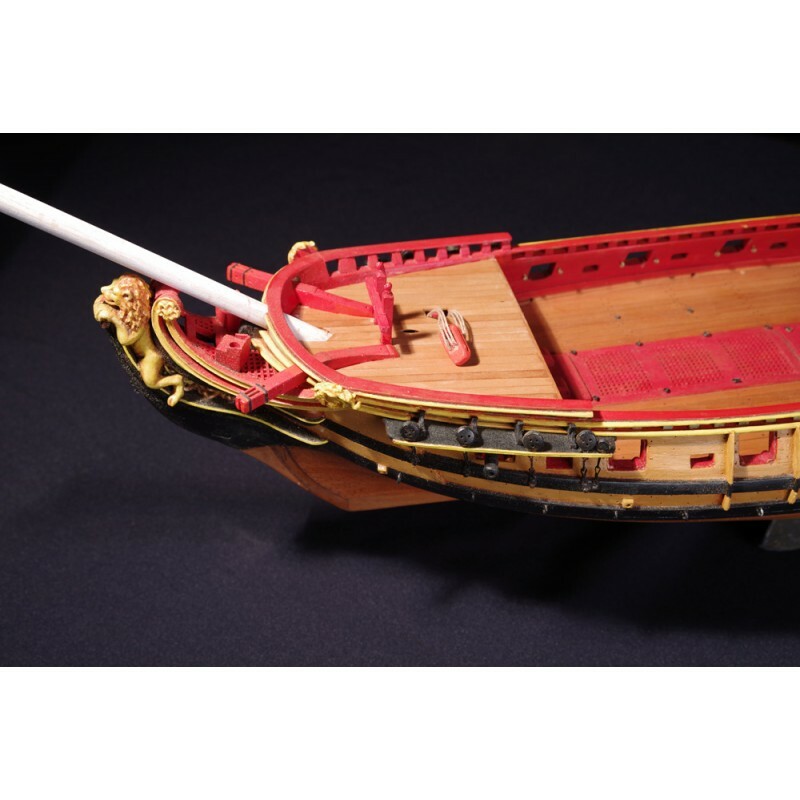 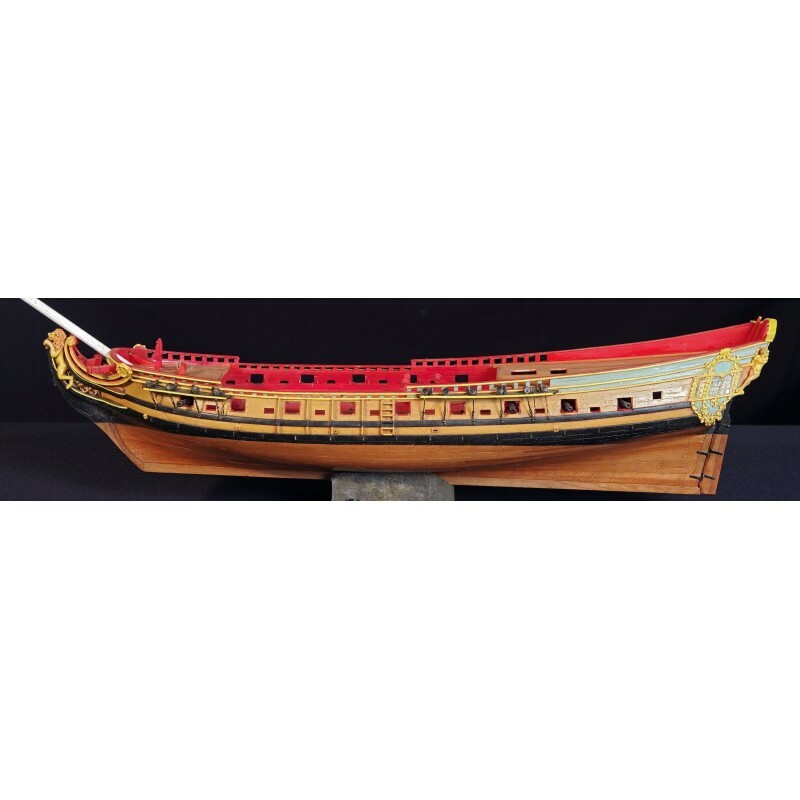 The light frigate, a small vessel that was relegated at the bottom of the rating, between the large frigates and barca longas and used for all and any mission in Louis XIV's Navy, had not been the subject of any exhaustive study until now. 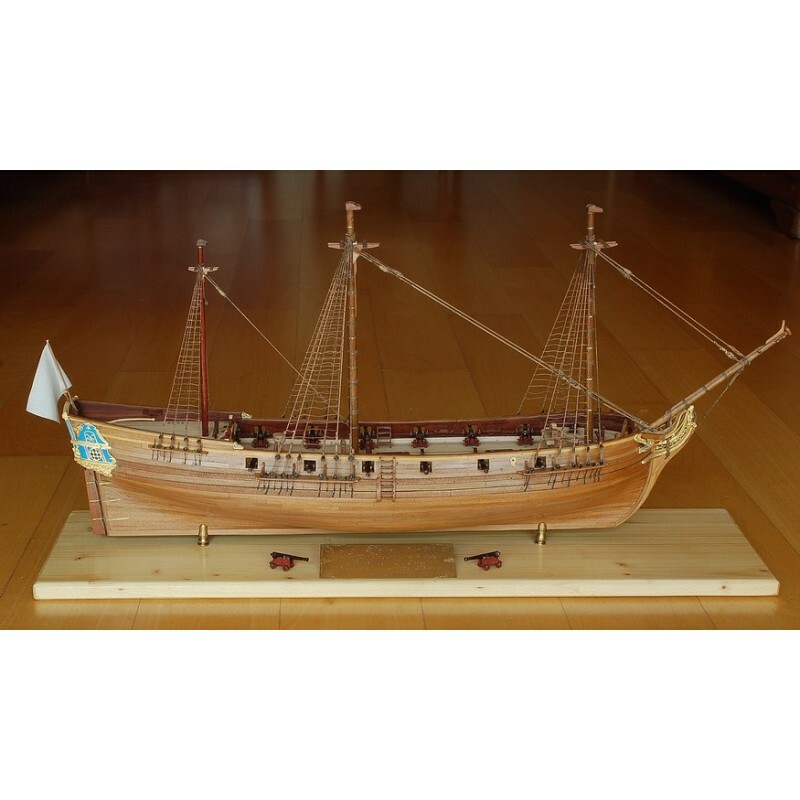 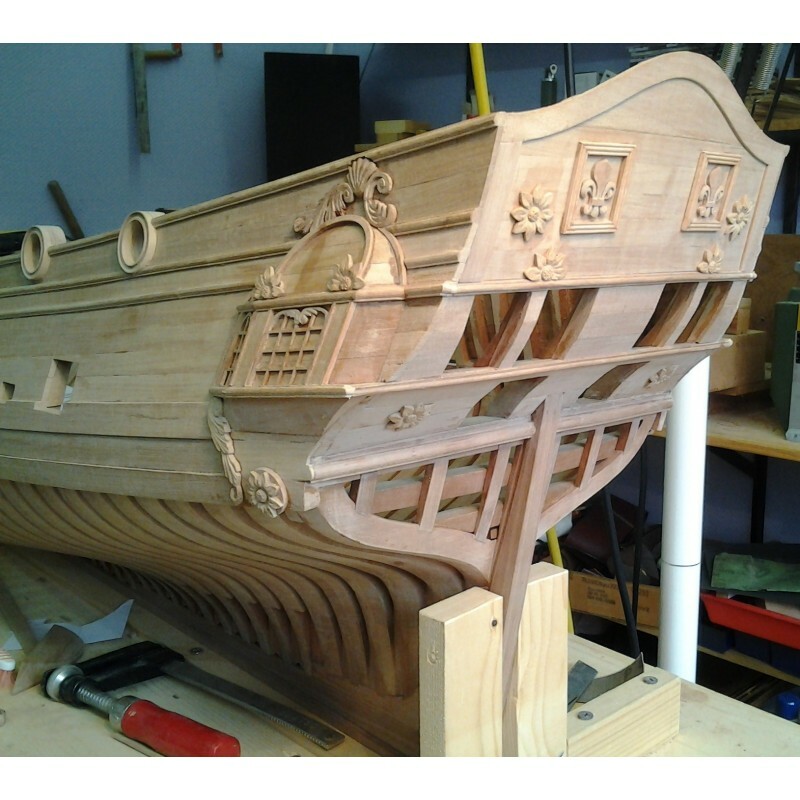 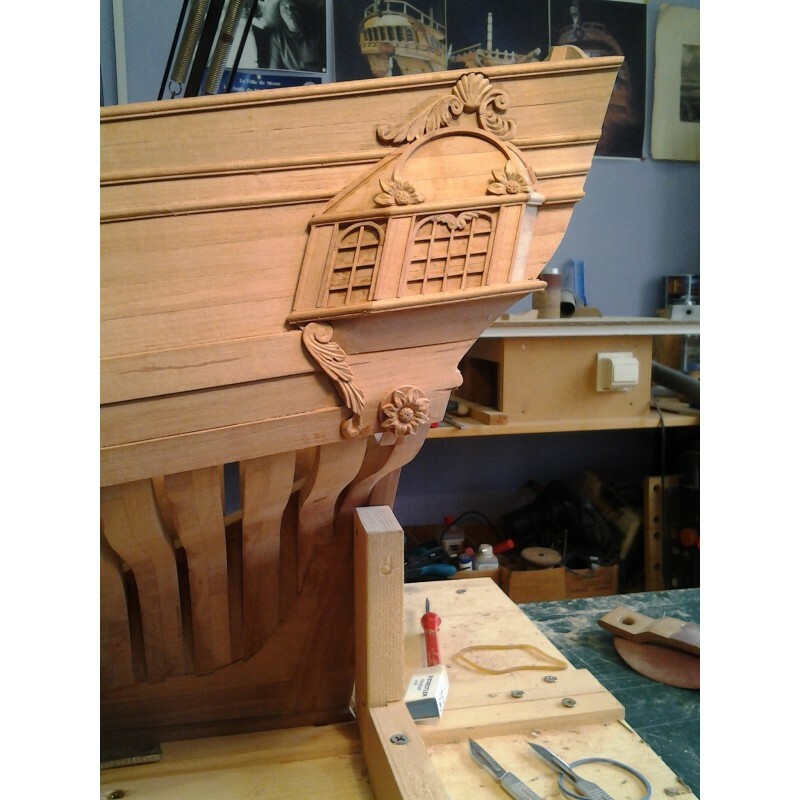 It follows logically after the study concerning the 17th century French naval architecture that was started by Jean Boudriot, the author of two monographs, one about the "Three-decker of the Chevalier de Tourville" and the other on the barca longa "La Belle". On the other hand, basing himself on a 1683 manuscript by François Coulomb, Jean-Claude Lemineur has produced a monograph of the fifth rate "Le François". 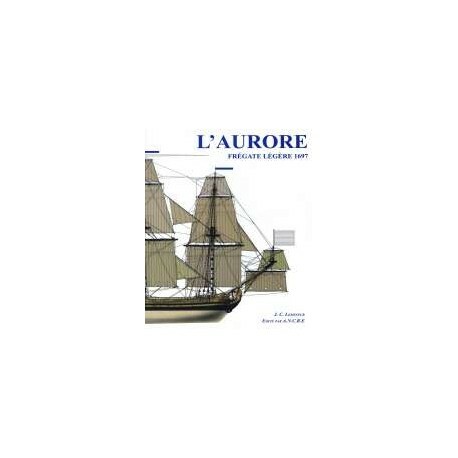 The study of the Aurore that he presents here begins with a definition of the characteristics of the light frigates at the beginning of the reign of Louis XIV that were still answering to the design concepts that prevailed in the first half of the 17th century. 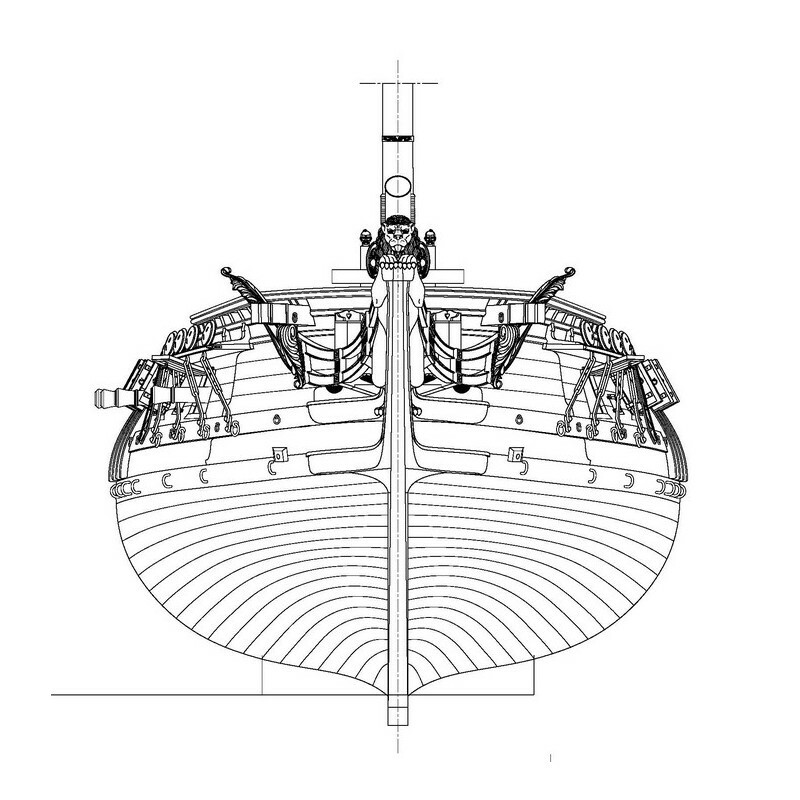 He then describes their evolution the light frigate architecture, like that of ships-of-the-line, having had to adapt to the constant increase in firepower during the long periods of the reign and the following dozens of years until, in spite of a reduction in topside heights, it was abandoned for the corvette whose shape is lower on the water. 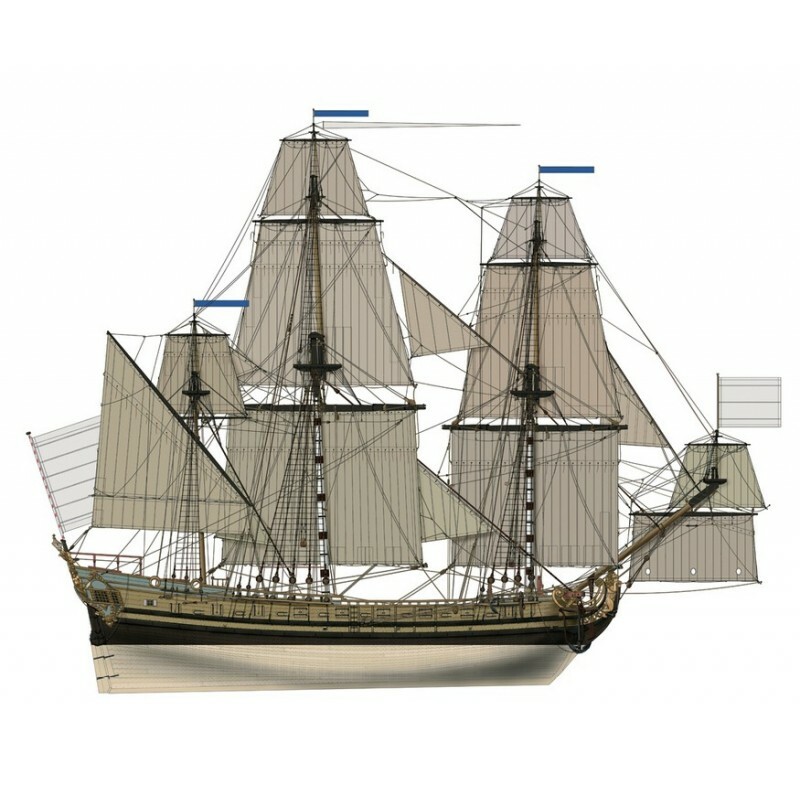 The study continues, focusing on a remarkable example of the light frigates built after the ministries of Colbert and Seignelay: the eighteen 6-pdrs "L'Aurore", laid down at Le Havre by Philippe Cochois in 1697. 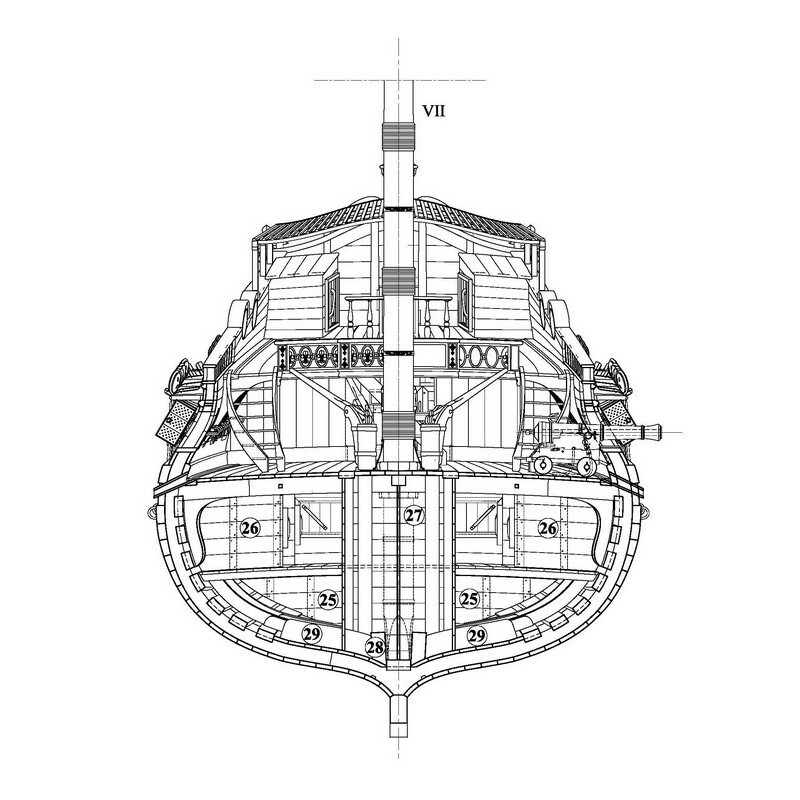 The Aurore is carefully analyzed, in her architecture as well as her decoration and the volume characteristics of the hull. 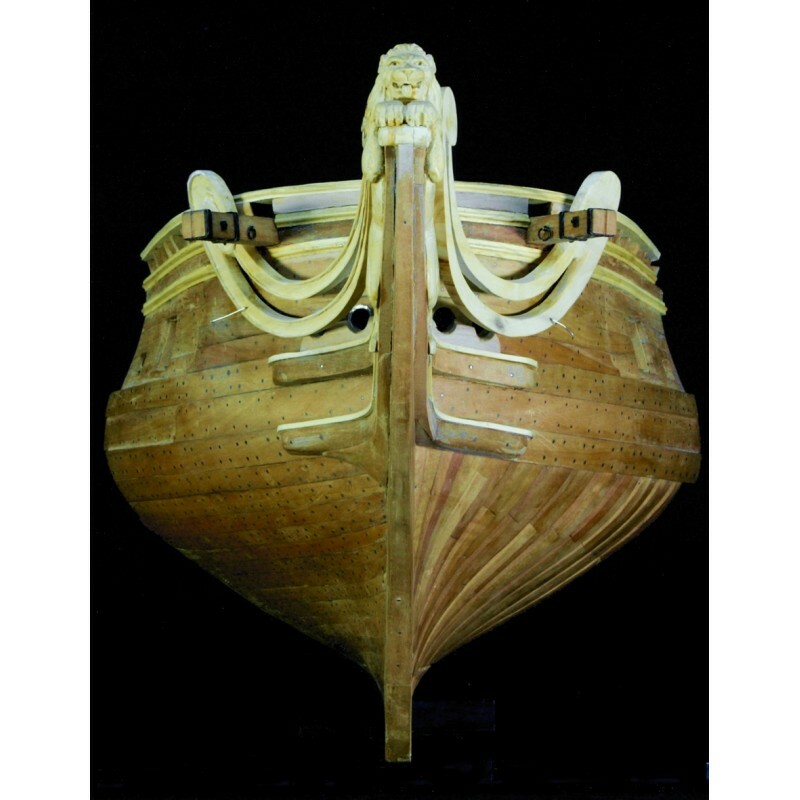 This bears witness to the talent of Philippe Cochois, whose career is briefly retraced, demonstrating an unusual understanding of volumes that he carves boldly. 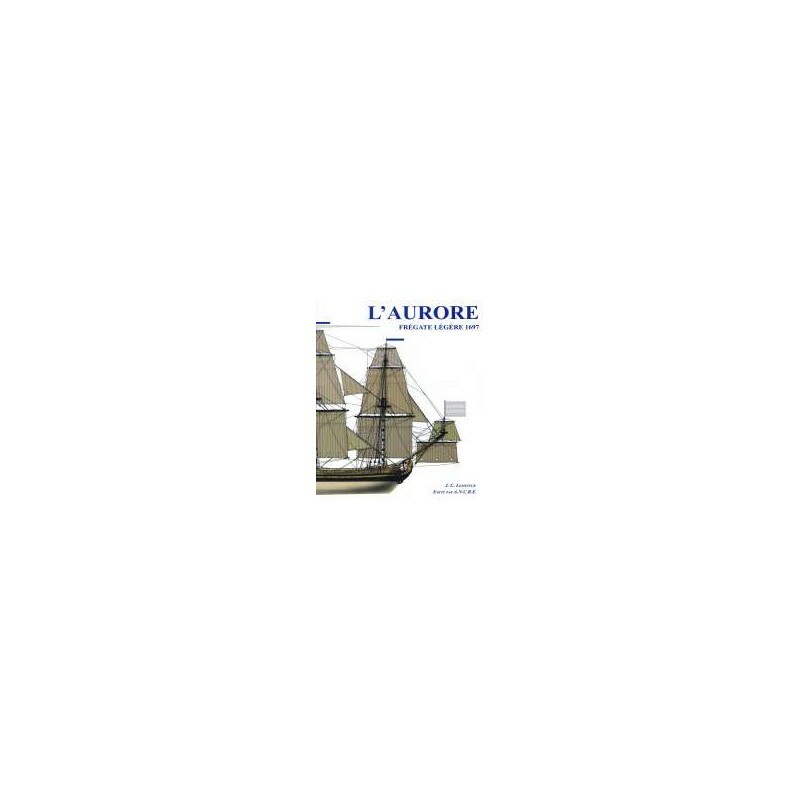 The reconstruction of the Aurore by Jean-Claude Lemineur calls upon all the rare sources specific to that type of vessel. 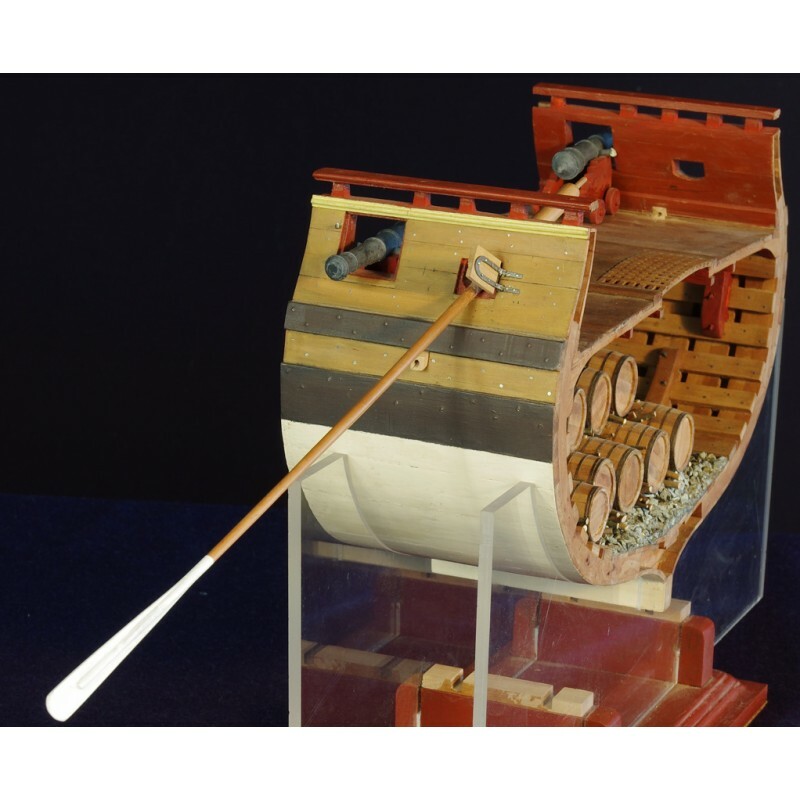 The relative dryness of the subject is somewhat attenuated by the relation of her career in the Royal Navy and in particular by the story of her two overseas cruises. 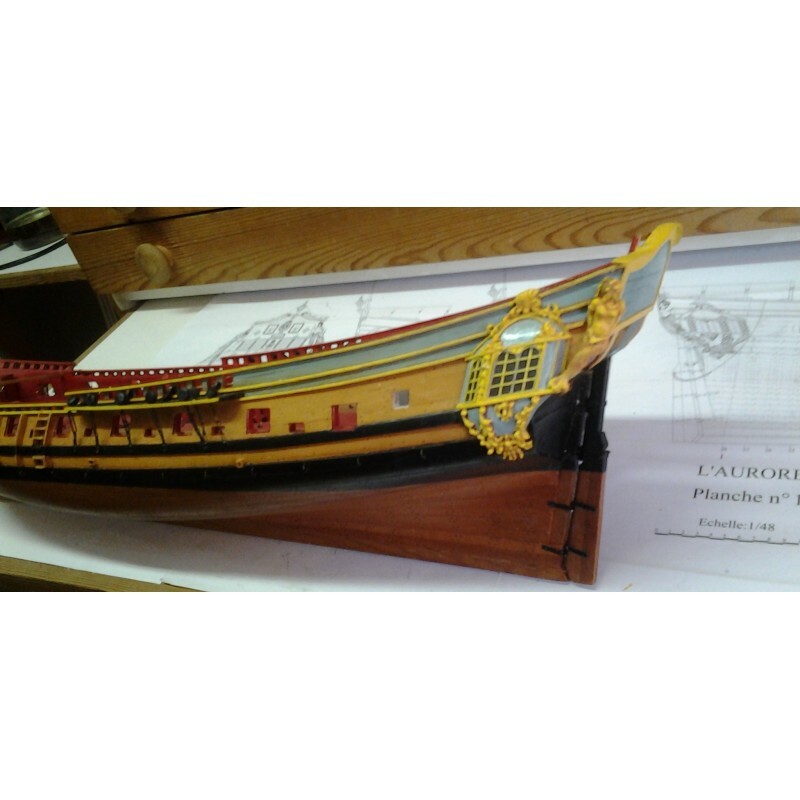 This relation that enriches the study considerably is the work of the historian Patrick Villiers. 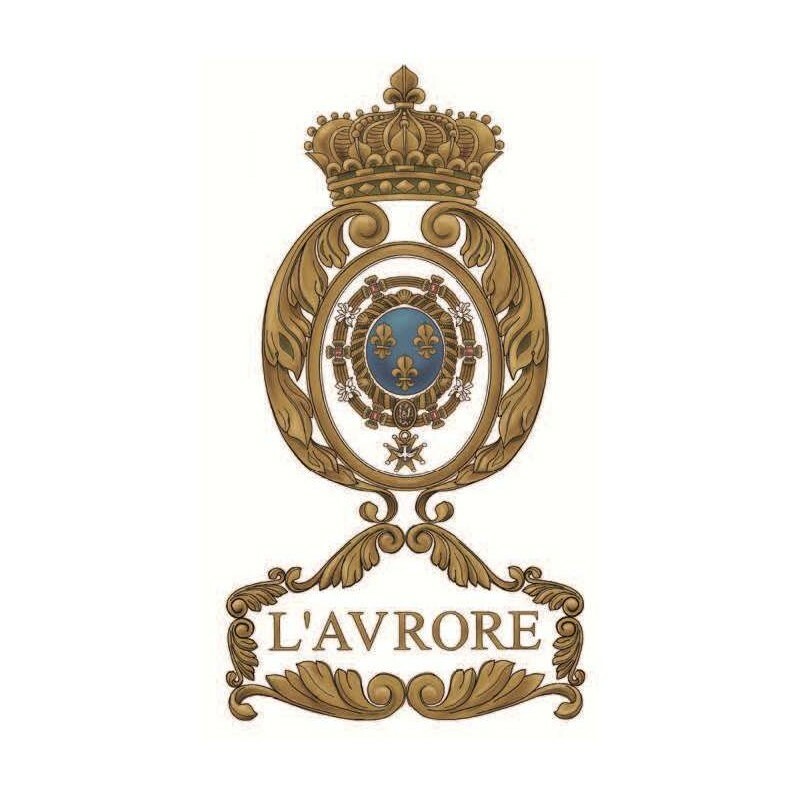 He contributes to giving a more alive image of the Aurore. 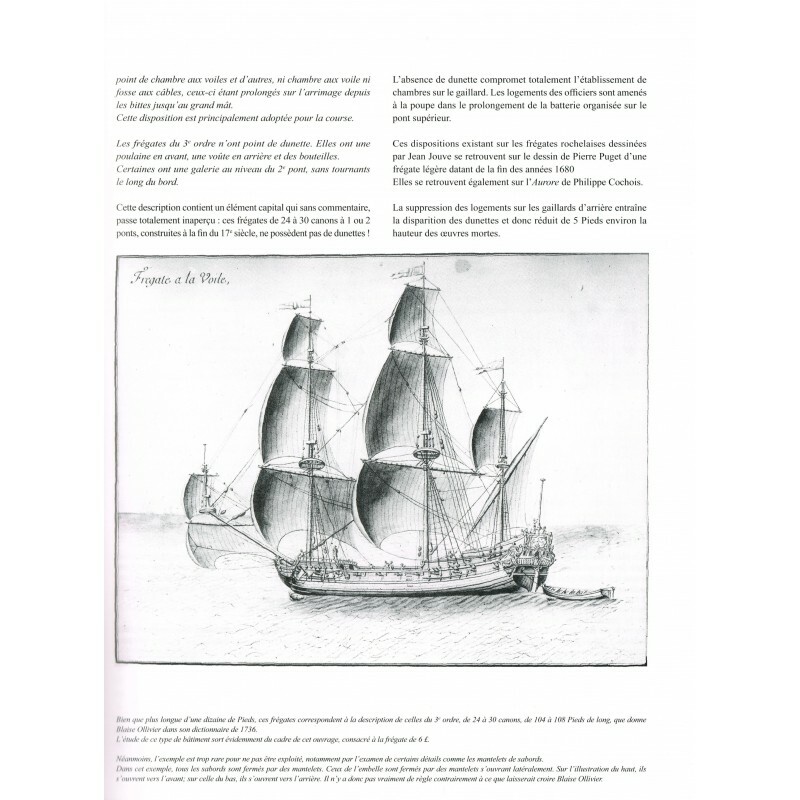 Overall, the monograph provides all the information, technical and historical, on the light frigate within the French Navy from 1661 to 1750. 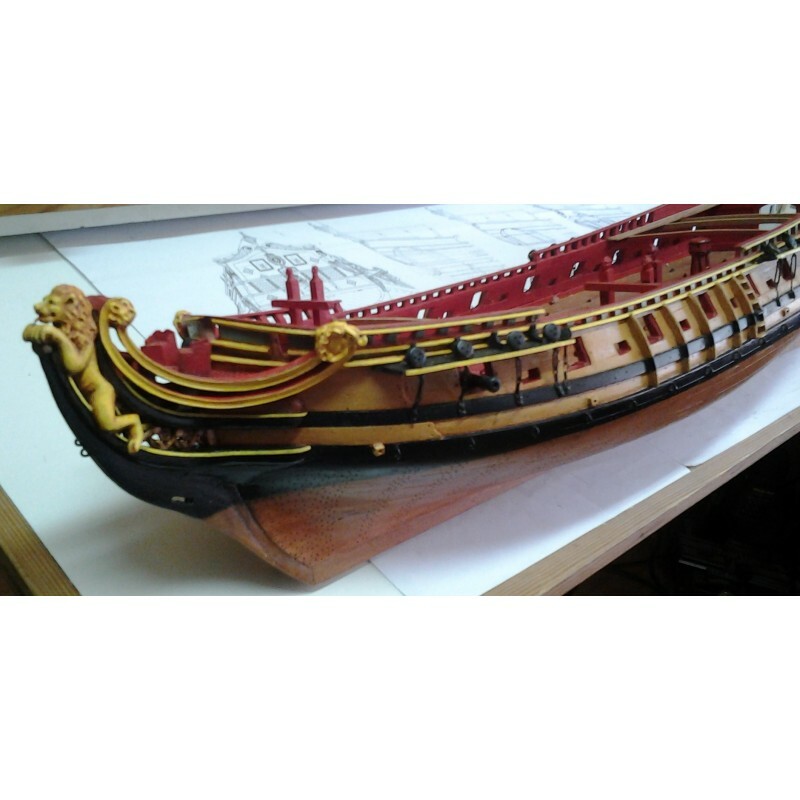 Its contents should answer fully the expectations of experienced modelers.